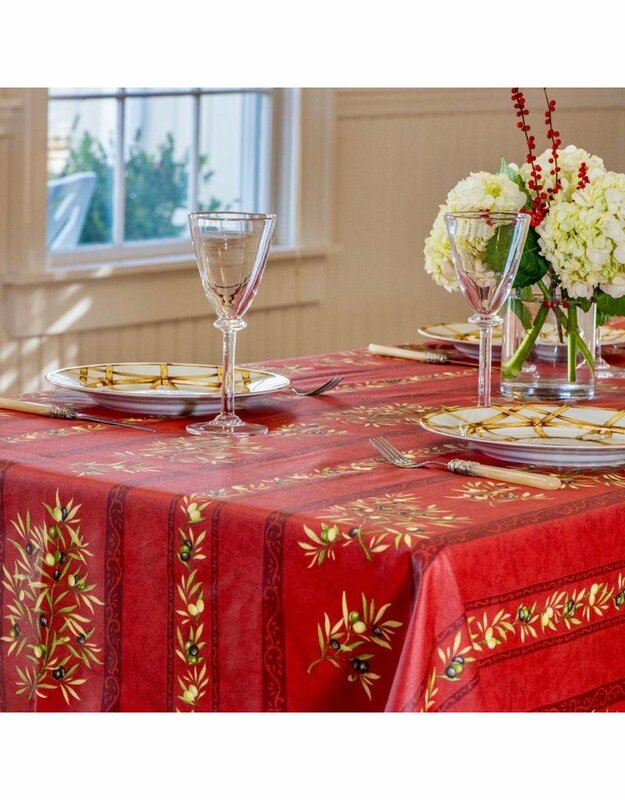 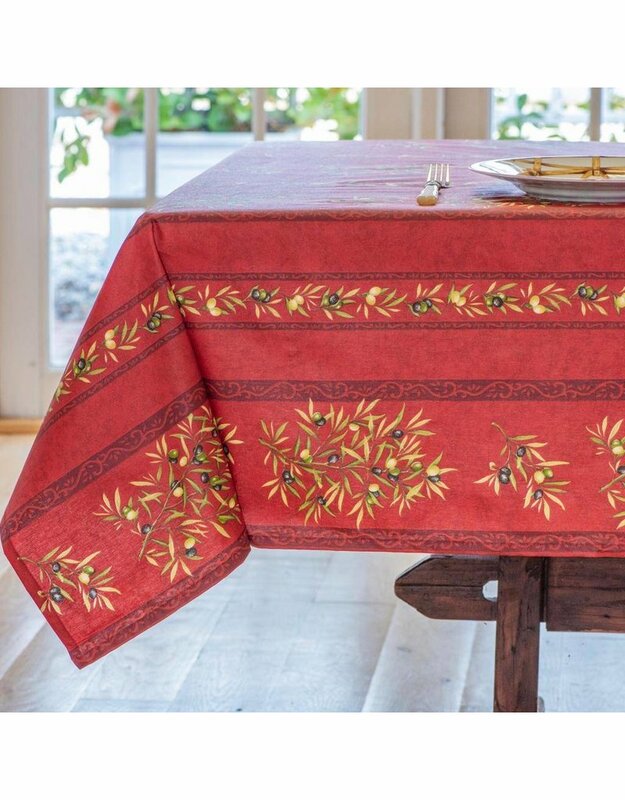 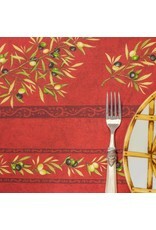 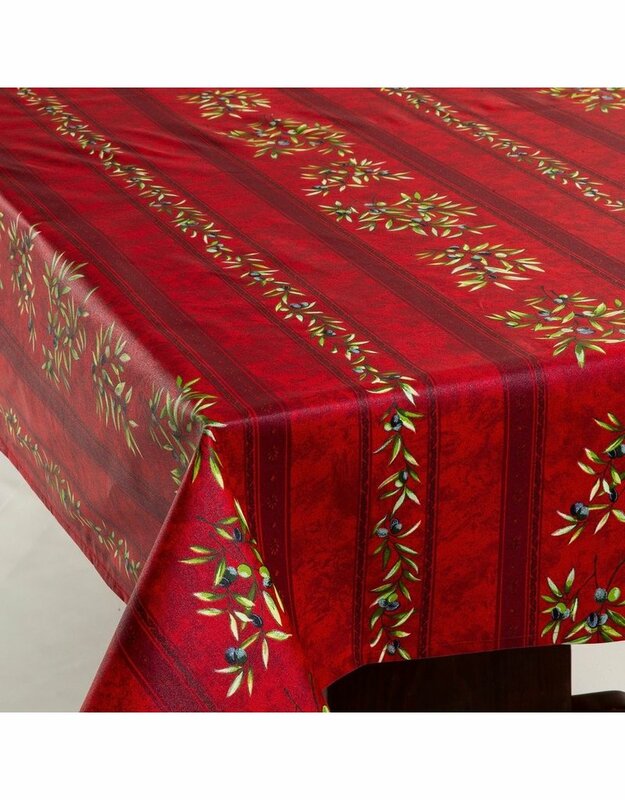 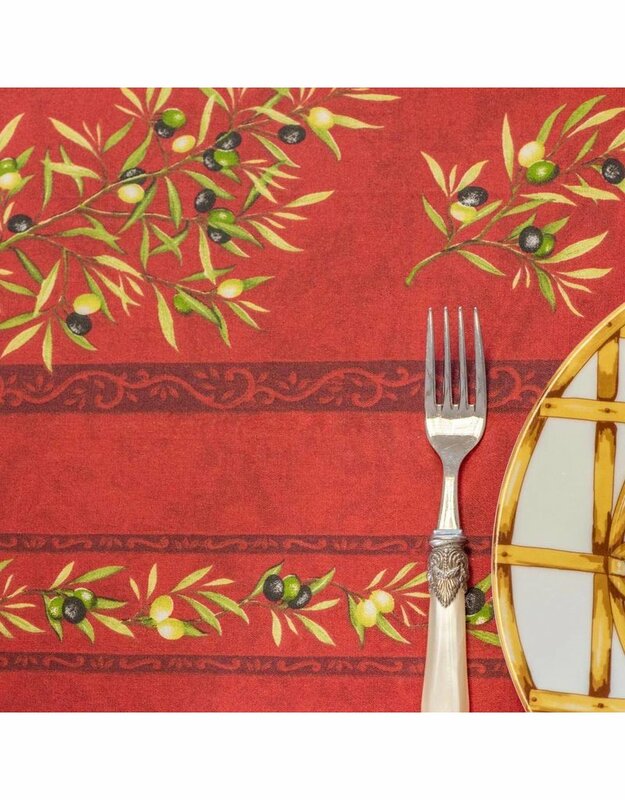 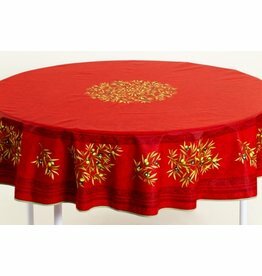 Our Olives coated tablecloth features stripes of olive sprigs on a rich red background. 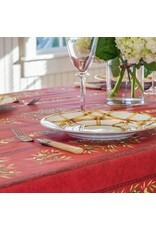 This classic French country style is perfect for both indoor and outdoor tables. 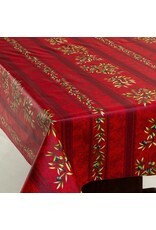 Really stunning pattern. 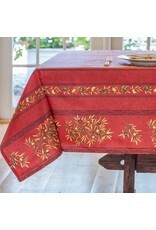 I prefer the fabric tablecloths that are NOT coated, but we keep this on our kitchen island and it wipes up easily and makes cooking and breakfast just lovely. 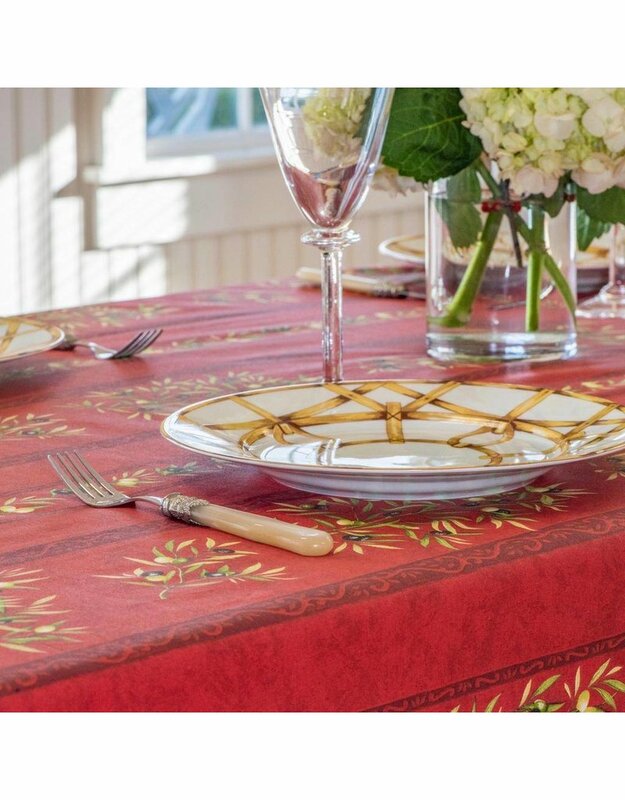 When it gets really dirty, we scrub it hard with a sponge scrubber and that has NOT affected the color, the pattern or the texture. 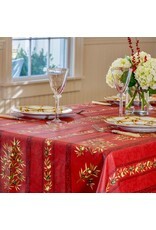 Though the colors are autumnal, it is ALWAYS in good fashion. 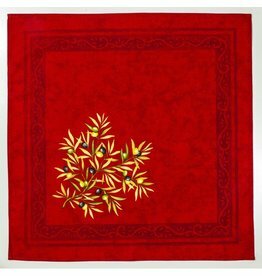 Lovely item!